Tip of the Day: Fresh Eggs | eat. write. smile. How can you tell if your eggs are fresh? Old culinary guides advised cooks to feel if the eggs were still warm to judge their freshness. However, since we no longer keep chickens in the backyard or use eggs straight from the hen, it can be tough to tell how fresh your eggs are. Additionally, if you take eggs out of the carton and place them on the refrigerator door or in a plastic drawer case, you might discard the cardboard with the expiration date. So how can you tell? A fresh egg starts out quite dense. 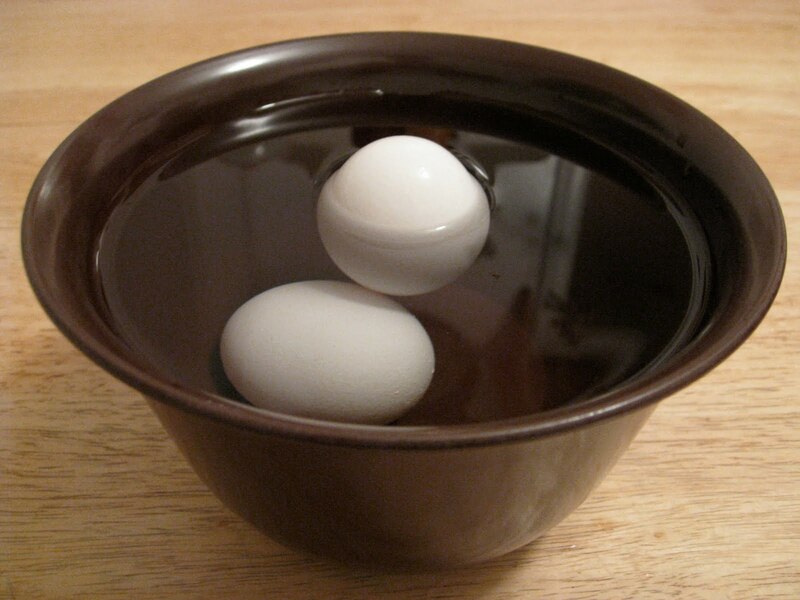 A fresh egg will sink in water, so just place the egg in question in a bowl of water. If it sinks, you’re good to go. Eggs evaporate water through their porous shells, thus the longer the egg sits on a crate in a truck, or on the grocery store shelf, or in your refrigerator, it is losing moisture and thus density. An old, spoiled egg will float. So if it sits on the surface of your water, toss it! 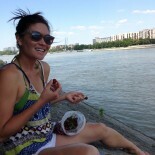 This entry was posted on February 16, 2010 by Ruthie in Uncategorized.